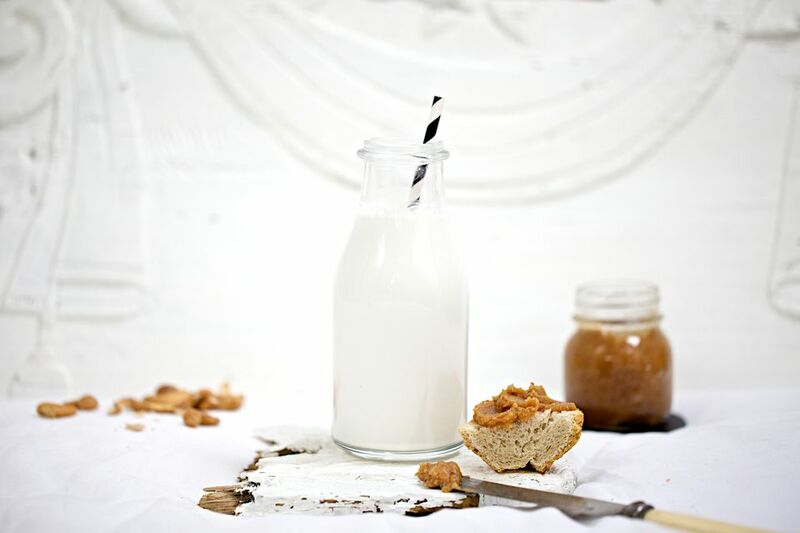 After drinking nut milk from juice bars, it might be time to make your own recipe for raw, homemade spiced cashew milk. It is incredibly easy to make, and all you need is a blender. You can strain the milk with a small sieve or nut milk bag or leave it intact if you like the body of unstrained milk. You can also add vanilla, cinnamon, mace, cardamom and various sweeteners ranging from none to raw honey, agave or dates. This milk is a great base for smoothies and pudding. The milk will keep for about four days in the refrigerator. Soak the cashews overnight in about 4 cups of water. Strain the nuts and discard the water. Rinse the nuts very well until the water runs clear. Place the cashews, 2 cups of water, dates, sea salt, vanilla, cinnamon, mace and cardamom in a blender and blend until very smooth and creamy. This will take a bit longer in a conventional blender. Add the remaining water and continue to blend for another minute or so. If you are bothered by the texture, strain the nut milk through a nut milk bag into a clean glass jar. Alternatively, you can use several thicknesses of cheesecloth, a paint strainer, coffee “sock” or strainer (colador de café), all available online or at your local hardware or health food store. *This version is fairly creamy; you can always add an extra cup of water if you want a more economical or thinner milk. If you want to make something resembling half and half or light cream, cut the water in half. If you have a Vitamix or Blendtec blender, it’s easy to bypass straining the nut milk, but you’ll have a slight residue.